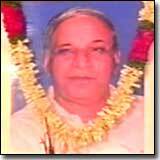 Bahujan Samaj Party founder Kanshi Ram Saheb passed away in New Delhi on Monday after suffering a cerebral stroke. Kanshi Ram Saheb, who was 72, had been battling multiple ailments for the last few years. His body will be kept at the BSP headquarters at 12, Gurudwara Rakabganj Road from 12:00 pm- 2:00 pm (IST) for the public to pay their homage. The last rites will be conducted at the Nigambodh Ghat at 4:30 pm. As per his wishes his mortal remains will not be immersed in any river but will be kept at the party offices in Lucknow and Delhi. BSP chief Mayawati was very close to Kanshi Ram Saheb and considered him her political mentor. Kanshi Ram Saheb had handed over the mantle of party chief to Mayawati in 2001 and she subsequently became the first dalit chief minister of Uttar Pradesh. With elections in Uttar Pradesh round the corner, Mayawati did not lose the opportunity to reaffirm that she alone was Kanshi Ramji's chosen successor. She added that she would ensure that the party continued to follow his principles. "Kanshi Ram Saheb announced on December 15, 2001 that I would be his successor at an important rally held by the party. I hope to be able to do justice to the power he has rested on my shoulders to carry on the job of leading the party," she said. Kanshi Ram Saheb, the man who changed the face of Dalit politics in the country, was a master at forging political alliances and equally adept at breaking them when they had outlived their usefulness. During his prime, he was the only man in the entire country who could claim he had sole control over the Dalit vote, thereby commanding huge influence in the national political arena. Born in 1934 in Ghungha village in Ropar in Punjab, he passed his BSc and got a reserved seat in the survey of India. In 1965 he got caught up in a struggle initiated by other Scheduled Caste employees to prevent the abolition of a holiday commemorating Dr Ambedkar's birthday. This marked the beginning of a political career that spanned close to 40 years and brought dalit politics to the mainstream. In the early 70s, Kanshi Ram Saheb founded the All India Backward and Minority Employees Federation (BAMCEF). In 1981 he made his first attempt to create a political party to mobilise the dalits. The Bahujan Samaj Party (BSP) was founded in 1984. As the BSP gained political ground, Kanshi Ram Saheb also found his biggest political protégé in Mayawati who he later went on to name as his political successor. The BSP made its formal entry into Uttar Pradesh's politics when Mayawati contested a by-poll for the Bijnor Lok Sabha seat. 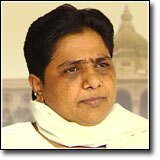 Mayawati lost but by 1989 the BSP had consolidated its base in UP. Kanshi Ram Saheb refused to hold political office and the mantle fell on Mayawati who became chief minister of Uttar Pradesh. Even in his illness Kanshi Ramji was an emotive symbol for BSP workers and Mayawati lost no opportunity to prove that she alone was the inheritor of his political legacy. Kanshi Ramji's last public appearance was on his 72nd Birthday when he was brought before BSP workers in Delhi, a sign that with elections round the corner in UP the BSP was readying itself for the test.